In 1840, Behn, Meyer & Co was the very first foreign country to be established in Singapore. At present, the country is home to businesses from all over the world. In addition to the fact that the Lion City benefits from a singular position in the global economy, it is frequently recognized as a global business hub. Singapore ensures entrepreneurs, as well as business start-ups and self-employed professionals, low-cost options for creating, maintaining, and developing sustainable businesses. From a regional standpoint, the city-state has established itself as the business hub of Southeast Asia a long time ago. This is not at all surprising taking into consideration that it comprises developer infrastructure, political stability, and, last but not least, a skilled workforce. What is interesting is that Singapore is taking advantage of its geographical position in order to become a global player. Those who have forgotten this need to remember that the Lion City is located at close proximity to emerging markets such as China and India. The international airport serves more than eighty international airlines, which are connected to a great number of cities. Singapore wishes to become a leader in the world. Many will think that it is impossible to carry out such a project. Well, reality has proven time and time again that nothing is beyond the bounds of possibility. The city-state is doing a great job when it comes down to paving the way for new businesses. Singapore gives entrepreneurs a head start. There used to be a time when the high concentration of financial activities and international trading transactions were conducted at New York or London. London is still viewed as an attractive financial centre, in spite of the fact that Brexit might scare off businesses from the United Kingdom. More and more experts say that Singapore is the most powerful financial centre. Are they right? Well, they are not mistaken. The Lion City offers non-negligible opportunities for entrepreneurs. The avenue is attractive, providing itself one of the best places to start a business in banking, education, and real estate. We have lost count of how many international companies there are in Singapore. What is certain is that the number is higher than thirty thousand. These organisations have chosen to do business in the city-state and for good reason too. Businesses enjoy low business rates in Singapore. Taxation laws are not hard to understand, but that it not what is important. What truly matters is the fact that the rate is very low. The tax system provides advantages to small and medium-sized enterprises and capital gains are taxed at 0%, which is impressive. The medium is conductive to business growth. Even A1 Business says so. Given the EU-Singapore Free Trade Agreement, it is expected that foreign investments will increase in the years to come. The Lion City has been nominated several times as the easiest place to do business. Foreign investors who come to the city-state receive help from the behalf of public institutions like the Singapore Trade Development Board that promotes exports internationally. It is important to not forget about the Economic Development Board that offers incentives for beginners. 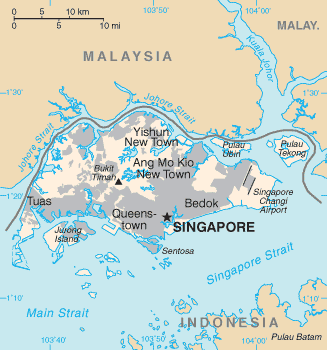 Owing to organisations like the aforementioned ones Singapore’s economy is thriving. The name chosen for the business has branding, marketing, and web implications. Including business activities in the company name can turn out to be useful. It is necessary to check if the name is available. The Accounting and Corporate Regulatory Authority will refuse a business name if it is very much alike, identical or phonetically similar to something that is already registered. As far as Singapore company registration is concerned, it is essential to have a director that lives in the city-state. This means that the place of residence has to be Singapore. There are no limitations regarding the number of directors that can be appointed. It is possible to appoint as many local and foreign executives as necessary. The maximum number is fifty. An enterprise must have a secretary within the first six months of the incorporation. The responsibilities of the secretary include but are not limited to making sure that statutory obligations are met, protecting the interests of the business, and sharing information with all directors. Should the organisation have only one director, they cannot act like a secretary. This is what the Singapore Companies Act says. So as to register a company in the city-state, a local address has to be provided. It can be a residential or commercial address. It does not matter, as long as it is a physical address. Singapore strives for competitiveness and, therefore, creating an entrepreneurial culture is the number one priority. There is a strong need for change, value creation, and entrepreneurship in order to succeed as a global player. So as to achieve its desired level of entrepreneurship, the Lion City teaches others how to fish. To be more precise, beginners receive assistance when it comes to succeeding in the corporate world. Education is of paramount importance and that is not a secret. Help is provided to seek expansion or upgrade business operations. Most importantly, Singapore focuses on creating an environment of empowerment. This is done by giving people the liberty to make their own decisions and providing opportunities for training and education. Entrepreneurship is not an investment. It is a choice that people take lightly, which is why there is no need to make incredible efforts in order to encourage business creation. However, the city-state does its due diligence.